Grasmere Road is reached via Ullswater Avenue which is off Iveley Road (A327) between Monkey Puzzle Roundabout and Summit Roundabout. Follow Ullswater Avenue until the T junction (Ambleside Close). Turn right then left into Grasmere Road. Go past the Rushmoor Football Club, continuing along Grasmere Road. The Cricket Club is at the end. 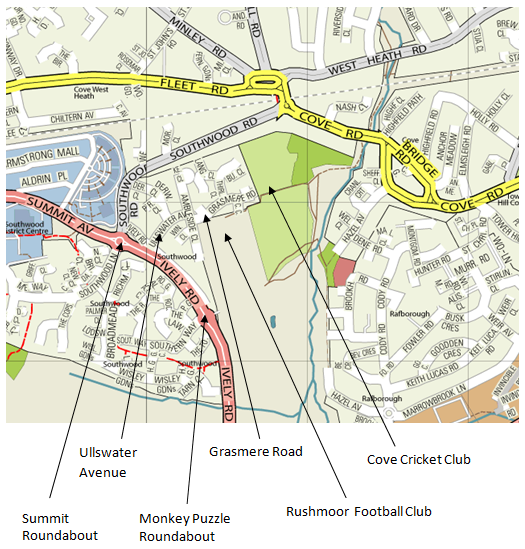 Click here for a larger map to show our location in Farnborough.